This infusion is viewed by many as a general health tonic as it is said to help soothe issues in several parts of the body. From helping to treat mental ailments to reducing cellulite, this herbal tea is a powerful ally that deserves to be studied and considered. 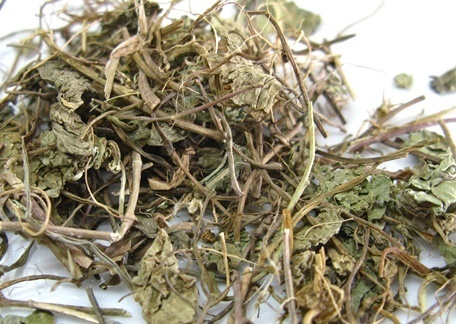 With a slightly bitter taste, the leaves of this herb are not only used to make a popular healing tea, but are also added to a wide range of regional dishes in South Asia. Come and find out more about the longevity herb! Gotu kola, centella asiatica in Latin, is a violet-like perennial herb native to tropical and subtropical regions including several countries in Asia such as India, China, Japan, Indonesia, Sri Lanka and in other regions such as Madagascar, South Africa and Australia and South Pacific islands. This herb usually goes by its Sri Lankan name Gotu kola - gotu meaning "conical shape" and kola meaning "leaf" and has no relation with plants that produce cola. In fact, gotu kola not only does it not contain any caffeine, it has sedative properties. It may also be found under other common names such as Asiatic pennywort or Indian pennywort, Brahmi booti and spadeleaf, among others. Gotu kola is a slender creeping perennial that loves shady, moisty and marshy areas. It may even grow in shallow water using floating roots, while the leaves rest on top of the water. It can reach up to 50cm in height (about 20 inches) with green to reddish-green slender stems. The leaves are small and fan-shaped, and extremely valued in herbal medicine. The gotu kola blooms tiny lilac or pink, sometimes even red flowers and bears small oval fruits that are about 5cm (2 inches) long. For centuries Gotu kola has been used as a herbal remedy in many parts of Asia and it has also made its way to the traditional local cuisine. Ancient healers in China used this herb as a part of traditional medicine to improve memory and brain function and legends often featured gotu kola as a source of male vigor. Legends about its ability to promote longevity resulted in it being called "fountain of life". This herbal tea was a favorite of monks and holy men to help with meditation. In Ayurveda tradition, the ancient healing art of India, this herb was also much appreciated for its ability to help the mind, but also as a form of topical treatment for numerous skin issues. Much like the Chinese monks, in Ayurveda gotu kola was valued for its calming sedative nature. In other parts of Asia, such as Sri Lanka and Malaysia, this herb served to provide long life and to fight inflammation and bacterial diseases. Today this herb is still widely used for its health benefits as well as an important ingredient in traditional cuisine. In China, people still resort to this herb to help promote medication and rejuvenation and in other parts of the world this tea is used as a form of treatment for skin conditions. In Thailand, Vietnam and Sri Lanka this herb is used as a leafy green to add to salads and it is considered quite nutritious, despite the bitter flavor of the leaves. In these countries this herb is also added to soups, curry dishes or as a supplement to many healthy smoothie-like beverages or simply drank as a tea. Today also the potential healing powers of this herb has led the cosmetic and hygiene industries to add gotu kola to gels, creams and ointments. Its many nutritious components are a source of its many potential health benefits. Gotu kola is considered a nutritious herb, filled with vitamins A, B-complex, B2, C and K, as well as other elements such as calcium, iron, phosphorus, sodium, zinc, antioxidants, flavonoids, sterols, amino acids, fatty acids, alkaloids, sterols and triterpenoids or saponins, such as as asiaticoside, madecassoside, and madasiatic acid. These elements combined make a healthy tea that may help not only to treat various health issues, but also ward off disease. So let's take a look at some of those benefits. Gotu kola tea may be the ideal tea when you are tired and facing deadlines and mental pressure. It is said to boost circulation helping to deliver oxygen to the brain, which in turn helps your brain to think better, focus more and concentrate for longer periods of time. It is said that this tea may help to nourish and revitalize the brain, cleansing it of toxins, working as a mental tonic to help deal with brain fatigue, boosting your alertness, intelligence and cognitive function over time. This may be why this herb is often called the "Herb of Enlightment". Drinking this tea may also enhance and sharpen your memory. This is said to be of benefit for those who are learning impaired and have difficulty storing knowledge. New studies are being done to ascertain the possibility that drinking gotu kola tea may help slow down the effects of disorders such as Alzheimer's disease and dementia. It is believed that the antioxidants present in this tea may protect you against free radicals from causing oxidative damage in the brain. By stimulating the neural pathways, this tea may help keep the brain younger, delaying the effects of old age on the brain and stimulating the pathways associated with long-term memory. Despite its name, gotu kola is in no way related with caffeinated cola herbs and it has in fact a calming, sedative effect. Gotu kola contains absolutely no caffeine, but it does contain elements that are beneficial to balancing an over-stressed nervous system. Drinking this tea is said to help you overcome stress and exhaustion. 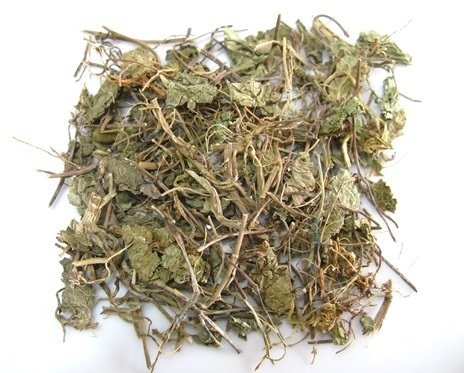 It could be good for frayed nerves and fatigue, promoting relaxation and restoring energy. If you are suffering from insomnia, drinking a cup of this tea could help set your mind at ease and allow you to sleep better. Gotu kola tea may serve as a nervine tonic, treating, strengthening and stimulating your nervous system, allowing you to better respond to situations of anxiety and irritation. It is said to lessen the frequency and severity of your panic attacks, possibly preventing a nervous breakdown. This herbal tea may help rejuvenate the brain and perhaps aid in improving brain health in certain cases such as ADHD, epileptic convulsions and Alzheimer's disease. Note: always get the approval from your doctor when using any herbal remedy when dealing with mental issues. A gotu kola infusion could help reduce the symptoms of mental depression or other psychiatric disorders. However, you should never try to treat depression on your own. Seek the advice of your doctor about using this tea as a complementary treatment. Gotu kola tea is said to stimulate the circulation while also cleansing the blood of harmful toxins and strengthening blood vessel walls. This could be beneficial for your heart as it may prevent dangerous blood clots, and for other organs as the blood delivers essential oxygen to all vital organs. It may also prevent the appearance of varicose veins as gotu kola is said to increase elasticity of the veins. This lessens the risk of hemorrhaging and the increased blood flow also prevents your legs and ankles from swelling up or feeling numb. Drinking this tea may help to regulate blood pressure and reduce the risk of hypertension, but you should speak to your doctor about taking this herbal tea as it is not meant to be used over extended periods of time. This herbal infusion may help to lower LDL cholesterol levels as well as triglycerides, two elements that are often responsible for heart disease and strokes. If you are suffering from anemia, also known as "tired blood", this tea could be beneficial to you as it is rich in iron among other elements. Taking a cup of gotu kola tea may be a good idea when you are suffering from indigestion and stomach pains. It is said that this herbal tea calms your stomach along with your nervous system, bringing an overall sensation of soothing relief. Gotu kola tea may help to strengthen the inner lining of your stomach, thus reducing the discomfort and other forms of stomach disorders that could be caused by harmful bacteria. Another way this tea is said to help your stomach is by helping to treat and prevent stomach ulcers. When healing and strengthening your stomach, this tea is said to reduce the size of gastric ulcers and provide the barrier needed against future lesions. Of course, treatment of ulcers should be paired with the appropriate diet and limiting alcohol consumption during this time. Consult with a doctor or a nutritionist to design a diet that suits your nutrient needs as well as does not hinder the healing process. Drinking this tea is also considered healthy for your intestines as it may provide boost your antibacterial and anti-inflammatory defenses, treating diarrhea and soothing the symptoms of irritable bowel disease (IBS). One of the great benefits of drinking gotu kola tea is its ability of boosting the immune system and thus helping to fight and prevent infection or inflammation. Gotu Kola is considered to be antibacterial, antimicrobial and anti-viral. It may help to prevent serious damage caused by chronic inflammation by providing your body with the antioxidants needed to build defenses at the cellular level, thus protecting vital organs and systems in the body. This herbal tea may be a good remedy when you are suffering from a cold or have the flu. It is said to help the body expel the toxic agents that are the cause of your illness. If you have a fever, its anti-inflammatory activity may help your body to cool down and relieve congestion. It may also be used as a gargle when you have a sore throat or experience other symptoms associated with tonsillitis. 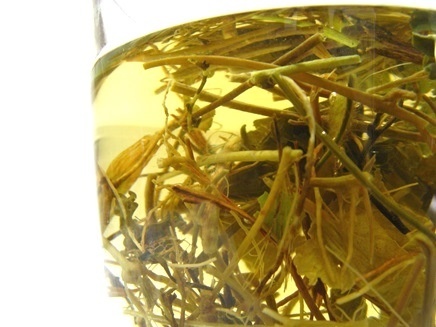 Another benefit of drinking this anti-inflammatory tea is the potential to reduce joint pain. Gotu kola tea will soothe the inflammation, promote fluid circulation and prevent the degeneration of cartilage. Taking this tea could help reduce pain related with arthritis and rheumatism. As gotu kola tea is a diuretic you may experience and increase in the need to urinate. This could be helpful not only in helping to reduce retention of excessive liquids in the body, but also in dealing with other urinary issues. Its anti-inflammatory action may help to treat urinary tract infections, clearing the bladder and kidneys of harmful toxins. Gotu kola tea may serve as a liver tonic, providing protection and bring relief to this vital organ. It is said that this tea may help stimulate liver function and serve as a form of treatment for liver disease such as cirrhosis, viral hepatitis or jaundice. Note: If you are experiencing liver problems, it is always best to consult with your doctor to analyze the extent of your condition and if this tea may serve as a form of treatment for you. By stimulating liver function, this herbal infusion may help to detoxify the whole body and serve as a detox tea. 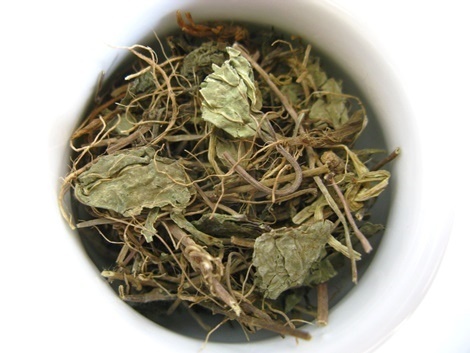 Gotu kola tea may also bring balance to the production of hormones in the liver. This is why some may believe that this tea serves as an aphrodisiac as it may stimulate hormonal production and provide a boost in energy levels. It may help to regulate menstrual cycles. This stimulating action to the uterus may have been used as a form of birth control, but its always best to seek professional advice in this area and have a doctor prescribe proper birth control for you. It is said that drinking gotu kola tea may help lower your blood sugar levels and so it could be used as a form of prevention for diabetic conditions. However, if you do suffer from diabetes, this tea should not be used in the place of your usual medication. Follow up with your doctor to see if this tea may serve as a complement to your treatment that with adequate testing could prove helpful for your daily life. This herbal tea shows potential to function as a cancer tonic. There may be hope that it could be used by patients undergoing chemotherapy or radiotherapy as it said to reduce toxicity involved in these forms of treatment. Of course, further scientific research is needed, but gotu kola may perhaps be used as a way to halt the growth and spreading of some types of tumors. It is imperative that you talk to your doctor if you wish to explore this form of treatment. Applying gotu kola tea - when cool - on your skin may help to sooth pain and speed up the healing of wounds, minor burns and lesions. This infusion may also help clean and heal minor cuts, not allowing the cut to get infected. It may help to keep your skin moist and hydrated, thus also preventing scars, wrinkles, stretch marks or other signs of premature aging. Applying this tea topically could speed up the recovery time of sunburnt skin. This herbal tea may also help to fight certain forms with skin disease such as psoriasis and eczema, but make sure to test this on a small patch of your skin first to make sure this herb does not cause further irritation or inflammation. Further studies are still required, but there may be some promise for this tea when it comes to promoting healthy hair growth and preventing hair loss by stimulating blood flow in the scalp. Gotu kola tea is known for helping to reduce cellulite both when it is taken internally as well as when applied topically. Its diuretic action helps to reduce excessive fluids accumulated in the tissues, cleansing the skin and repairing damaged tissues. Gotu kola also contains triterpenes which are essential to building collagen which in turn helps to reduce cellulite. When applied to the skin, this herbal infusion helps to stimulate circulation and treat any hidden inflammation, while repairing skin cells. Take a sip of this wonderful tea now! While gotu kola tea may be a healthy beverage, there are a few precautions that you should take when drinking this tea. Some people experience minor side effects when drinking even moderate amounts of gotu kola tea, such a slight stomach upset, nausea, slight headaches or drowsiness. Usually these side effects occur when you are not used to this herb, but if they persist, it is best to stop taking this tea and talk to your doctor. 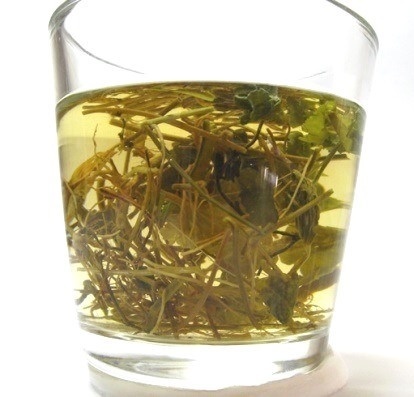 If you experience skin rashes and irritation, low fever, difficulty breathing, swelling of lips or tongue you may be having an allergic reaction and need to stop taking this tea immediately. If the situation worsens, seek medical help. Drinking this herbal tea may also lead to sensitivity to sunlight, causing your skin to burn easily or your eyes to feel discomfort in the sunlight. Wear protective sunglasses and consider applying sunscreen. When using fresh leaves to make a cup of tea, you may experience contact dermatitis, so always make sure to test this tea on a small patch of skin before using this tea as a form of skin treatment. Gotu kola is potent herb and should be treated as such, meaning that it is always advisable to check with your doctor what the right dosage for you is: how many cups a day you should drink and for how long. Generally, you should never drink more than 3 cups of this tea per day and only until you begin feel better. 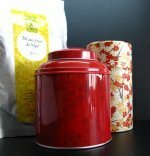 As a rule, you should not take this tea for more than 6 weeks, then you should take a 2-week break before taking up your daily cup of tea again. Large amounts of this tea or using this tea for longer than advisable may result in possible harm to the liver, headaches, vertigo or over-sedation and stupor. People who are 65 or older should opt for lower doses of gotu kola tea or, even better, have your doctor determine what is the best dosage for your particular fitness level and state of health. Avoid drinking this tea if you are pregnant. This herb is said to induce menstruation by stimulating the uterus. This same stimulation could cause you to miscarriage. There is also a risk of causing harm to the unborn child. It is also best to not to take this tea medicinally if you are trying to get pregnant as it may cause early-term miscarriages. There is a history of women using this herb as a method of birth control, but this is not advisable. It may be safe to apply this tea to the skin while pregnant to help reduce stretch marks, but make sure to run this by your doctor before attempting this form of treatment. 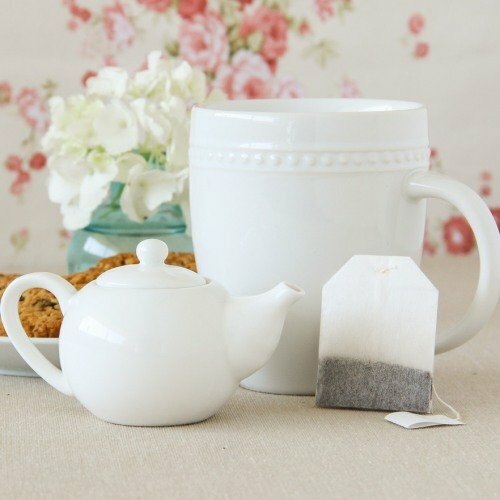 If you are breastfeeding, then it is best not to take this tea medicinally, as specialists are still unsure of what components pass into the breastmilk that could cause harm to your nursing baby. This is a very potent herb and therefore it is not advisable to give this tea to children. Talk to the child's doctor to come up with a more adequate form of treatment for your child. It has been shown that this tea could interfere with insulin and cholesterol-lowering medications (including statins), so if you have diabetes or high cholesterol you should not drink this tea as it may cause your cholesterol and sugar levels to rise. If you have a history of liver disease, such as hepatitis, it is best not to drink this tea, because it could make worsen your condition. This herb could also interact with any medication you are taking and increase damage to your liver. Do not drink this tea if you are taking medication such as antiepileptic drugs, sedatives, diuretics, antidepressants, hormone replacement therapy or cancer medication. There is a risk that the components in gotu kola could affect the potency of your medication rendering it poisonous or simply useless. If you are unsure whether you can drink this tea and maintain other forms of medication at the same time, then go ahead and talk to your doctor. S/he knows your situation better and can advise you on the best course of action. For the two weeks leading up to surgery it is best not to drink this herbal tea as it could interfere with the anesthetic. Those who have a history of cancer, particularly skin cancer, should avoid drinking this tea as it can not only interfere with any cancer medication you may be taking, but it may be too potent for an immune system that has been seriously compromised in the past. One way to reap the benefits of this herb is by brewing a cup of tea. It is quick and easy so let's learn how to make gotu kola tea. Put the kettle on with water and get your teapot and cups. In the teapot place 1 teaspoon of crushed or cut fresh or dried gotu kola leaves per cup of water. Pour the boiling water into the teapot and replace the lid. Let the herbs infuse for 10 to 15 minutes. Remember that the longer you let the herbs steep, the stronger the tea will be. 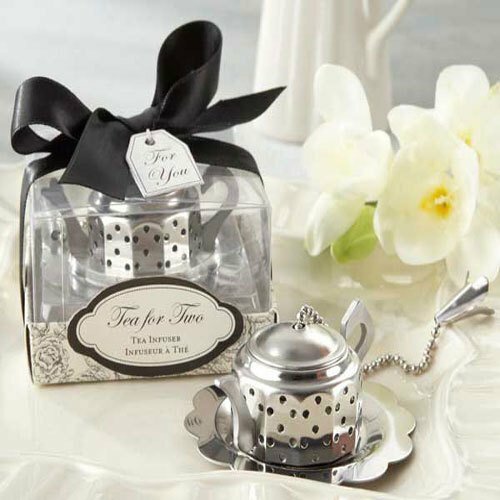 It may be best that you start with short infusions at first. 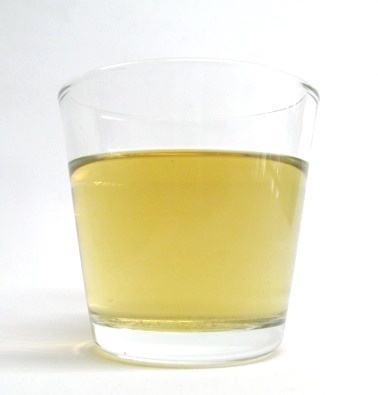 Strain into a cup and then add honey to sweeten the tea if you wish, although the tea is considered tasty on its own. 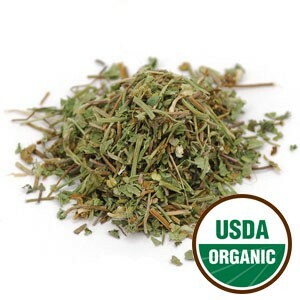 Some say that the flavor of gotu kola tea is earthy and somewhat similar to that of parsley. Enjoy your tea while it is still hot, but if you are applying this tea to your skin, it is best to allow it to cool down. You may drink 3 cups per day at most and for no longer than 6 weeks. You may experience some stomach irritation or nausea at first so it is recommended that you begin with just one cup of weak tea per day and work from there. You can blend gotu kola with gingko biloba to create a herbal tea blend that may have brain-boosting and memory-enhancing properties. Blending gotu kola and holy basil/tulsi to create a balancing herb that is said to fortify the nerves, allowing you to cope better with stressful situations and fatigue. A cooled infusion may be applied to the skin to help treat many skin issues, but make sure to test it first on a small area of your skin to see if you are allergic in any way to this herb. It is best to play it safe and not make a bad situation worse. Remember to store the herb in a cool dry place, preferably in an airtight container, so that no moisture can get in and allow mold to form. Buy Your Gotu Kola Tea Today! Click on the image or on the link below to purchase from Starwest Botanicals your Gotu kola herb. In cut leaf or powdered form, you can make a cup of tea that is balancing and healing. Buy your artichoke leaf powder here! Gotu kola tea is a wonderful beverage that combined with a healthy lifestyle and a balanced diet may be a great way to boost your physical and mental health. Enjoy your balancing cup of tea!